Add a casual and refined appeal to your living room with this stylish cocktail table. 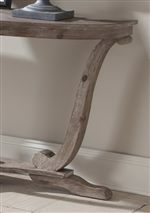 Pine veneers and solids have been wire brushed with a stone white wash finish for a unique look. Cabriole legs support a large oval shaped top perfect for holding drinks, displaying decorative items and much more. 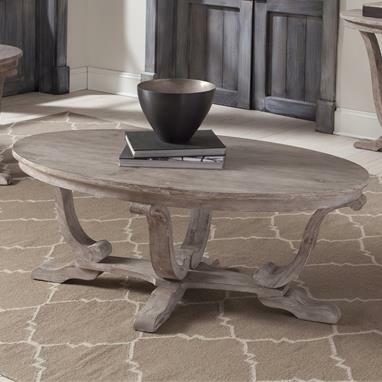 The Greystone Mill Transitional Oval Cocktail Table by Liberty Furniture at Miskelly Furniture in the Jackson, Pearl, Madison, Ridgeland, Flowood Mississippi area. Product availability may vary. Contact us for the most current availability on this product.